Contact us directly and allow us to advise you! Although we have completed recently via contract with the TÜV Hessen the certification process on the basis of DIN EN ISO 9001:2008, the corresponding quality management at HESTO is internal standard for over 15 years. The resulting high stability of our products enables us for many years, to increase the legally prescribed guarantee up to three years voluntarily. Thus we provide our products 36 month warranty insofar as repair and exchange of the parts are made at no cost, including working time spent, but excluding transportation or freight charges provided that the claims are justified. Interference with or alteration of the supplied product by the buyer or by third party relieve us of the warranty. Improper handling, above all under heavy conditions which were not agreed upon, such as too high or too low ambient temperature, humidity, dust or increased mechanical load, relieve us off the warranty, if these circumstances resulted in claims or failure. Consequential damages are excluded. Mounting costs or outage losses are excluded. Freight charges, journey costs and travel expenses shall borne by the buyer. 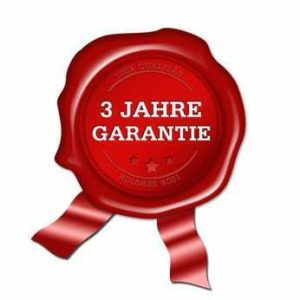 The sale agreement, warranty and any tort or contractual liability shall be governed by German law and any dispute thereunder shall be litigated in a court of competent jurisdiction in D-63225 Langen in the state of Hessen, Germany.